SERGEANT MAJOR JOHN HOWARD READ was born in Baltimore, Maryland on September 16, 1891. He was the son of Rev. John R. Read and his wife Laura. John Howard Read was known as and signed his name as J. Howard Read. He and his family came to Camden after the compilation of the 1906 City Directory. 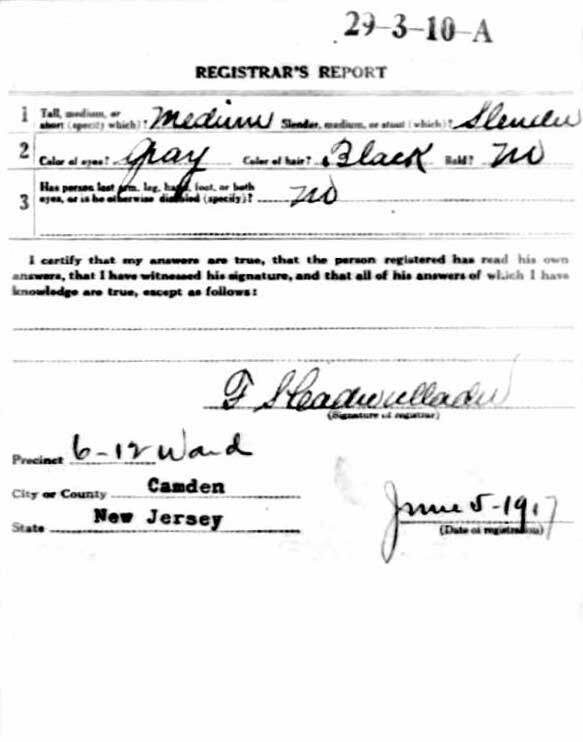 Reverend Read and his family were living in Camden by the spring of 1910, living at 635 South 3rd Street. He was then pastor of the Wiley Methodist Episcopal Church at South 3rd and Beckett Streets. By 1914 the family had moved to 2926 Westfield Avenue when Reverend Read became the pastor of the Asbury Methodist Episcopal Church in East Camden. 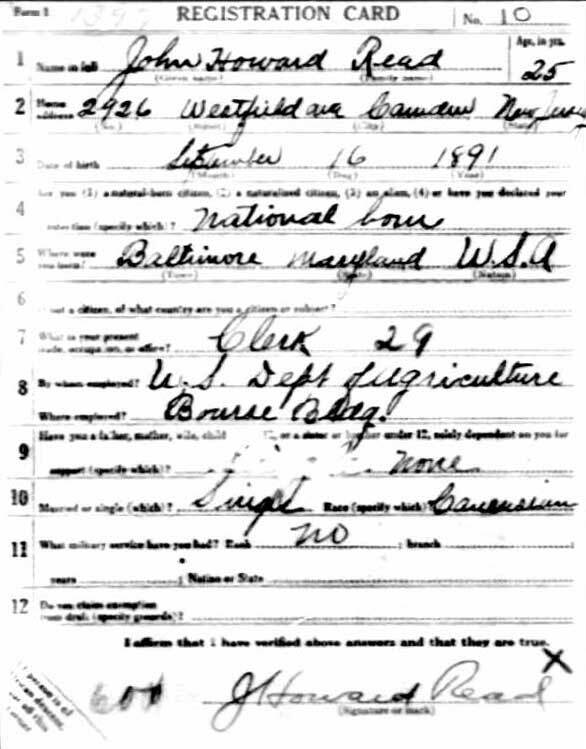 J. Howard Read lived at 2926 Westfield Avenue and was working as a clerk with the United States Department of Agriculture at the Bourse Building in Philadelphia when he registered for the draft on June 5, 1917. He was drafted into the United States Army on February 27, 1918. 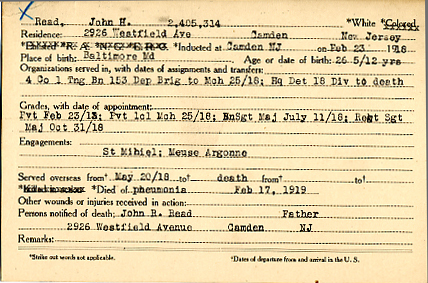 Sent to Camp Dix NJ, J. Howard Read, who also had skills as a stenographer, was immediately attached to the headquarters of the 78th Infantry Division. 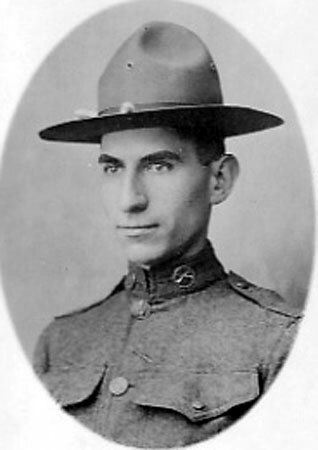 According to the book "Camden County in the Great War", he was promoted to Battalion Sergeant Major in June of 1918, just before the Division sailed for France. He was promoted to Regimental Sergeant Major once in France. Sergeant Major J. Howard Read survived the fighting in France, only to fall victim to the Spanish flu pandemic that killed millions world-wide in 1918 and 1919. 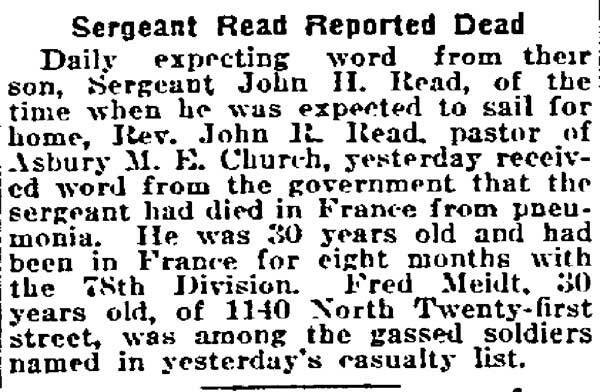 Sergeant Major Read died of pneumonia in France on February 27, 1919.